Jon Lamonte is the CEO of Sydney Metro, leading the procurement, construction and delivery of Australia’s first fully-automated metro rail network. The metro, Australia’s biggest public transport project, will deliver 31 metro stations and 66km of new metro rail. Sydney Metro Northwest is on schedule to open in the first half of 2019 and services on Stage 2 – Sydney Metro City & Southwest – are expected to start in 2024. 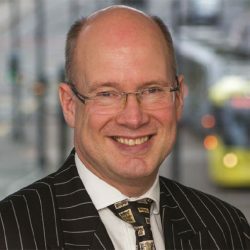 Prior to this, Lamonte was CEO of Transport for Greater Manchester since 2013. His portfolio covers rail, bus, tram, highways, cycling and other forms of active transport. TfGM is the executive delivery arm of the Greater Manchester Combined Authority. 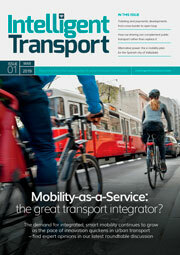 He was also the Chair of the Urban Transport Group. He was the CEO of Tube Lines from 2011-12, including the critical period of the London 2012 Olympic and Paralympic Games. Tube Lines, as part of Transport for London, was responsible for the maintenance, renewal and upgrade of the Underground infrastructure on the Jubilee, Northern and Piccadilly lines. This includes track, trains, signals and stations. Jon joined from the Royal Air Force where he fulfilled a number of senior operational roles and led major project delivery. His most recent role was Chief of Staff, Strategy, Policy and Plans, which included co-leading the strategic defence and security review into the maritime programme for the Ministry of Defence (MoD). This identified considerable savings opportunities from the current structure and planned procurement of the Royal Navy over the next decade, whilst producing a coherent and viable force capable of meeting a range of scenarios into the future. Prior to this Jon was Director General Finance for Defence Equipment and Support, the MoD’s £17 billion a year procurement and logistics organisation. Other roles included running the RAF’s largest base, Brize Norton, with over 4,500 people and three fleets of transport and air-to-air refuelling aircraft. He served in the Falklands, Iraq and the former Yugoslavia.